Yep, it’s happened to all of us. You think of something good. Post it on Facebook. Wait for the responses, the “likes”, the “comments,” the little windows to pop up in your browser and tell you that someone has acknowledged your post- validating your cleverness and essentially confirming your worth as a human being. You live for that response. You need that validation. Only when you post….crickets. Now before you know it a week has gone by and you got one lonely little post sittin’ like a zit on the face of your profile page. Well, lo, and behold, there’s an inforgraphic to help us make sure this never happens again! Huzzah! Praise be to the Social Media Gods…or at least to the good folks over at Mainstreethost, whom this article comes from. The chart contains a lot of useful little tidbits like, “The best time to tweet is between 1-3pm” or the most responded to tweets contain a “call to action.” Facts like this may save us from the ever embarrassing un-acknowledged posts, which, to use a more elegant phrase, ain’t nobody got time for. Check out the chart to maximize your social network abilities. I’m serious. Do it right now. Check out this while your at it. It’s our class twitter account, which is where I got the article from another student’s tweet. Hodges, J- Our app is called Xpertise, geared toward college students. It is a research based site where people who need resources can collaborate. The home page consists of our logo, a drop down menu and settings link. The users are able to browse through top research of the day and top “Xperts.” Each section has a search bar which allows you to search within topics or “Xpert” profiles. Our site has combined certain ideas from Pinterest, Google Image search, and Zite. Each application allows research to take place, but not to the full extent that we would like it to. Xpertise allows the user to navigate research in an easy way which makes it a less tedious task for college students. As stated by Vannevar Bush, “Science has provided the swiftest communication between individuals; it has provided a record of ideas and has enabled man to manipulate and to make extracts from that record so that knowledge evolves and endures throughout the life of a race rather than that of an individual.” This site brings together all of these aspects while providing an individual with further knowledge about a topic. We learned from Bolter that technology is constantly remediated. We hope that “Xpertise” remediates research skills by providing “top” researched topics which not only provides written text, but images and videos as well. The “Xpert” profiles are a new collaborative source of research where they can gain information through conversation and questioning. Hardwick, B.-Because the purpose of Xpertise is to let college students share information and converse about research, the menu is important for making the collaborative features easily-accessible. These include favorite Xperts, “bins”, notes and their profile page. When I was researching apps, I noticed that users like to save work from other resources and create their own. They also prefer a main menu and hub to access all information. The menu on Xpertise centralizes the main features of the app that instigate collaboration. Web 2.0 is characterized by collaboration, where users can actively engage with each other as if they were in the same room. The menu option organizes and stores users’ information so that they can access and add to it at their convenience. This furthers the communication. Xpertise paves the way for new forms of research. Now, teachers and students can contribute and collaborate on projects. Researching is no longer an independent process. It is social. articles, videos and links to Xpert profiles who have written on that topic. All results are compiled directly on top of each other-picture how when you search for images on Google to get an idea of how it’s laid out. The rationale behind this is that when I was researching writing apps, I noticed the best ones were often the most user friendly and simple, so I tried to stay true to this. I just reviewed notepad for Android which is a writing app. I liked its simple layout, so I tried to stay as true to that as possible. With Xpertise, you are no longer looking a stagnant document, but a living piece of writing whose author you can communicate with. In the article Why Nabster Matters to Writing, Devos and Porter say “in the era of digital writing we can no longer afford to take delivery for granted.” Since with the internet anyone delivery is instant and all people are linked, I took advantage of this and made it possible for anyone with expertise to share their knowledge with others. In his article What is web 2.0? O’Riley describes blogging as “One of the most highly touted features of web 2.0,” and is why Xpertise gives each user the opportunity to maintain a profile, which you see a sneak preview of on the results page. The future will need a program like this. While there are already scholarly search engines, I think everyone in the room can agree these aren’t very fun or easy to use. Just as Bolter talks about remediating in his article Writing as technology, the creators of Xpertise think that this search engine can remediate Google scholar the same way parchment remediated papyrus, or word process did the typewriter. Strenkowski, L.-One of the most fundamental features of Xpertise is the Xpert Profile. Here, you can search different users for their specialties, credibility, as well as their favorite links and boards. Each Xpert will also have their own blog where users can make comments and ask the Xperts questions on their expertise topics. The profiles make the app more personal and give life to creators behind the knowledge available for use. Those who also want an Xpert profile are invited to sign up and create an account. We used a lot of practical app research and personal experience to create our designs. While the topics are categorized into “bins” like Pinterest, we used a very common app design by inputting a header bar at the top of the app. We wanted our Xperts to have profiles similar to those from Facebook; the profiles have custom information inputted by users. Web 2.0 is based upon the platform of social sharing. The Xpertise app greatly demonstrates the combination of social media connection and the sharing of scholarly sources and knowledge. The collegiate world is better connected under Xpertise’s Web 2.0’s met requirements. DeVoss and Porter discuss the delivery of writing. The Xpertise app effortlessly delivers information from many different sources while still retaining the original credit. Written knowledge is sent, delivered, and received all through a mobile app. Bolter discusses remediation and the Xpertise app remediates library source databases for research. Research can now be completed in the palm of your hands. This app will make the future of writing and the research of writing more seamless for students and colleagues alike. Information on common topics will be much easier spread and will reach larger audiences. Research papers will be easier to write, and questions will be more easily answered. The future of writing is mobile and it starts with the Xpertise app. Weisser, S.- The comments section is a vital part of this app. It provides users with the opportunity to comment back to an Xpert’s work. Xperts are able to post their “Xpert work” to their page. Outside users, when viewing, are able to make comments or ask questions directly to the Xpert. Comments can then also become a conversation back and fourth between other viewers of the “Xpert page.” With the ability to share comments to the “information bin,” the collaboration really takes flight. If a commenter thinks the information given in a comment was helpful, they can opt to send it to the Xpert’s main page. You can see if others find the comment to be helpful, by looking at the number of “thumbs up” and “thumbs down” it gets. Also, the idea of the live chat makes it even easier for conversation to occur quickly and easily. We wanted to make the app simple to use. All the actions are easy to do, and straight to the point. So many apps we researched were about the collaborative aspect, so we also wanted to incorporate this. Web 2.0 allows for the online collaboration and interaction. The app allows for Xperts to share their work with users. The comments and live chats provide that outlet for collaboration and discussion. Michael Wesch’s video, “The Machine is Us/ing Us,” states at the end, “Web 2.0 is linking people.” This app provides the opportunity to do just this by information sharing and collaboration. Bolter’s idea of remediation shows through with Xpertise, as it remediates the way that research is done. Research now becomes a lot more easily accessible. In the palm of your hand you can have tons of information on a specific topic, in seconds. In relation to DeVoss and Porter’s idea of a new ethic of delivery, this certainly provides one. Our app makes it easy to deliver Xpert information to any user with the click of a button. The publishing and accessing is so simple, and the app is cost free to all users, making the delivery of the information that much better. Our app will certainly benefit the future of writing. Research will be so much easier to conduct with all the information on a topic now in one convenient location. Writings that require research will become simpler. The collaboration between users will help them to gain more insight on a specific idea utilizing the opinions of themselves and others. Social Media can be both glorious and dangerous. Social media can lead to great connection, but it can also lead to unsafe situations or peril. University of the Pacific has a safety section on their website, and one page is about social media safety and concerns. With the current dangers involving social media going on, I would like to share them. Social Media can cause identity problems. 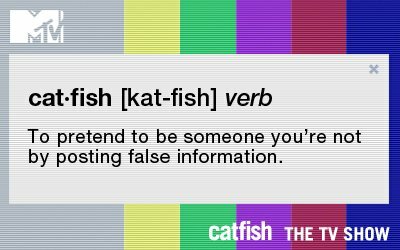 People can pretend to be you, or pretend to be someone else to use your information or emotions. We need to make the right connections and be safe while doing so. Also, everyone must be careful about how they share. Opportunities can be squashed if an employer, professor, dean, or principal sees the “wrong” things. Be wise about social media. Social Media: Open Door to Learning? George Couros, the “Principal of Change”, wrote an article on his blog entitled “3 Ways Social Media Can Improve School Culture”. His three points of improvement are increased visibility, increased accessibility, and a flattened organization. I can completely agree with his notion that social media will optimize visibility. When I was in second grade, I had a very hard time understand what lessons were being taught when I merely had to read, because I couldn’t see the projector screen. The words were all too fuzzy for me. If I had a tablet in front of me, I would be able to participate more efficiently. Also, I am more comfortable sharing my answers without having to speak out loud. If my classes used social media to create electronic forums, I would feel a lot more at ease. When more people connect, more success is created. This is what I received from this particular point, and I completely agree! Creation needs more collaboration. When I first read this phrase, I will honestly admit I had no idea what it meant. Once he linked me to his “Everyone’s A Teacher and Everyone’s A Learner” article, I finally understood. Everyone can teach and be taught together in this expanding technological world. Social media will open the doors to easier communication and social interaction. The world needs to embrace it. Blogger, Liz Romeo, tweeted an article about cyber bullying. As a future educator, I am extremely interested in this topic. It’s important to be aware of what’s going on in a child’s world, and the proper ways to deal with it. Cyber bullying is becoming such a prevalent issue amongst teenagers, and even children. Growing up in a time when social media is booming makes it so easy and accessible for situations like these to occur literally in the palm of your hands. Cyber bullying incidents really can have a negative impact on people. Threats can even be made through social media. Not only is a situation like this very upsetting, but it can also be extremely scary. Cell phones make it even easier for this to happen. This small, hand-held device, has the ability to do so much damage. It all just depends on the person’s actions behind it. Before social media became so popular, there weren’t as many ways for bullying to occur. Now, there are so many ways to attack a person, which is extremely scary. Another huge issue is that a lot of these new applications and websites allow things to be posted anonymously. Now, people can be attacked, and not even know who is doing the att acking. 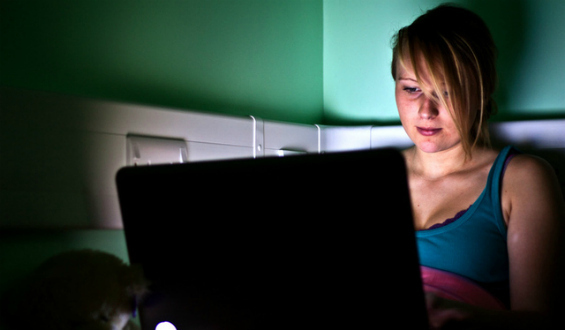 The article mentions websites like Ask.fm, and Whisper, which allow posts to be anonymous. Apps like this make it so simple for cyber bullying to occur to anyone, anywhere in the world. It’s so clear how much technology is impacting the social world. Now, threats and negative comments can so easily made and posted for the entire world to see. Personally, I hope we can find a way to eliminate this type of bullying to the best of our ability. Teenagers growing up in this technological age now find social media to be a way of life. Are there dangers involved in this? They need to keep in mind that the footprint they leave on social media can have an impact their futures. “I tell my kids every horror story I hear of students being rejected from college or an accepted student having his/her admission rescinded because of something they wrote on Facebook or something they tweeted. It is very hard to eliminate a ‘social footprint,'” Laurie Weingarten, mother of two teenagers, said. Once something is deleted from the internet, is it ever actually gone? It is so important to pay attention to the things that are posted on these websites. You never know how one slip-up can effect you in the future. The article makes it clear that college admissions officers do in fact look at applicants social media pages to learn more about them. Adults need to make kids aware of this before they begin to make their online footprint. If they see something that they dislike, even something so minor, they can immediately decide to kick that applicant to the curb. Colleges do not want someone with a bad online reputation to represent their institution. It is so important for teenagers to learn ways to use social media responsibly. A parent suggests that a good way to make teens aware of the existing issues is to make them feel uncomfortable about it. Do this by continuously asking them about their cyber life. Another suggestion is to ask your child for help using a social media app. This way, you can really get a glimpse of what they’re doing on social media, and how they go about using it. By staying involved in their child’s usage, parents can really see if there are prevalent issues. Then, they can be addressed right at the start. By doing this, teens will become a lot more contentious about their usage. As previously discussed on this blog, social media is something that may have consequences. The use of social media is a necessity to the new generation of students and therefore they are at the most risk. Because of the young ages that begin social media use, it is important for parents to take action and provide caution with their children. Fellow blogger, Alexis Lane tweeted about an article by Alexandra Pannoni, she discusses the actions that parents may be able to take in order to prevent their child from potentially threatening their future. The first step in helping your child understand their actions is open communication about the different scenarios social media could cause. Showing general interest in the social media apps that your child is using may be able to cause them to think more consciously. New technology has been marketing towards children and babies as new generations emerge. Children will always be more technologically advanced than most adults because of the amount of technology that is available to them at such young ages. These new apps can have improvements in many areas when it comes to the development of children. There are often times that children, especially when challenged with a learning disability, are resistant to learning. With new applications that focuses on things that peak children’s interests, it becomes a lot easier to get them motivated. Turning learning into something collaborative and fun is something that every company should strive to do and Disney is making the first steps to accomplish this. We have all heard stories about people doing stupid stunts for the sake of getting “liked” on social media. Remember the cinnamon challenge, anyone? What appeared as an innocent stunt has sent dozens to the emergency room with collapsed lungs, bleeding noses, and poisoned airways. The popularity of these challenges proves that people utilize social media as a mechanism for popularity. However, the thousands of dollars, television appearances and world-wide recognition is a veneer for the danger simmering just below the surface. A fifteen-year old from Kentucky, who received second-degree burns after attempting the stunt, warns others against it. He says, “You can get caught on fire and die. Your house can get caught on fire. Wherever you’re at could get caught on fire.” This does not sound fun at all, yet teenagers everywhere are rising to the challenge. The dangerous thing about these stunts being advertised via Youtube and Facebook, are that the risks are not being associated with them. Teenaged participants, often struggling with fitting in, feel that accomplishing these challenges skyrocket their popularity. They forget that they are not as invincible as they assume. While social media is a great tool for sharing material, users need to be more careful to screen information. Risks need to be clarified. The danger involved in these stunts cannot be felt online; the challenged cannot feel the heat of the fire until it consumes them. Fashion has morphed over the years, once being made specifically for comfort and practicality. Now, calico dresses are gone, replaced with cotton tights, high heels, and sequined blouses. Clothes aren’t just a means to stay warm; they define our desired personality. Author Jay Bolter would characterize this shift as “remediation“, the process of a new invention replacing an older one. Staying on top of the ever-evolving clothing industry is burdensome. We watch movies. We observe friends. We spend hours at the mall. But what if we could keep track of the upcoming trends by marrying social media with real life? Brazil has developed such a creation. They introduced a clothing hanger with a digital screen displaying the amount of likes that the garment receives on Facebook in real time. Stores hoped that the innovative hangers would attract more sales; however, experts still remain skeptical. Krista Garcia, an analyst for eMarketer, reports: “There hasn’t really been research yet measuring the value of a ‘like’ in-store, since this is such a new area for marketing”. This viewpoint was further backed by a poll of 15,000 shoppers, all who were asked whether a high “like” count would influence their shopping. Of those people, 52% said that it wouldn’t. Another 23% declared that it would discourage them. The Facebook hanger may not have caught on yet, but it does prove that social media has an enormous impact on buying. Pinterest, Facebook, blogs and Twitter are just some of the many websites that lure Fashionistas to buy the latest products. A recent search has proven that businesses are rewarded with an average of $8 per ‘like’, and $14 for every share on Facebook. Peer influence over social media may just revolutionize the clothing industry. With this invention, we may start to see a remediation in advertisement once again, this time focusing on blending social media with daily life. 10 More Social Media Blogs! Another good blog on social interaction!